Hailed as a visionary in our time, Ti Caine C.H.T. is a dynamic speaker, a futurist, a renowned hypnotherapist and metaphysician, a best selling author, a healer and a whole life success coach. Ti is the creator of FutureVisioning™, which is a revolutionary new healing and success process that empowers individuals, couples and organizations to literally design and create the futures that they want. Rather than just focusing on the past and problem solving, his FutureVisioning™ process enables his clients to tap into The Incredible Power of the Future™. This is a new approach to changing, healing and growing that has never existed before. This is The Psychology of The Future! This approach empowers individuals, couples and organizations to immediately start moving forward towards solutions and success. This also motivates and empowers them to more quickly release the limitations of the past. Through developing a real working relationship with the future, his clients are empowered to create graceful and powerful successes in all areas of their lives; healing major illnesses, releasing life long fears, discovering true passion, creating new business and career success, doubling and tripling incomes, understanding and releasing chronic stress and anxiety, enhancing business, personal and family relationships, building stronger and more effective organizations, discovering real motivation and crating true happiness. In addition to creating a film and video production company and being a top producer in several sales organizations, his true passion throughout his life has been to help people heal and succeed. This passion is the reason he has spent over 30 years exploring consciousness, success, growth and personal empowerment. He has enthusiastically studied, practiced and taught Meditation and Visualization, Goal Setting, Reichian therapy, Breath and Body Work, Expressive Movement and Dance, Massage, Rebirthing, the Psychology of Success, Sales Training and the Psychology of Selves, Energetic Healing and Balancing, Hypnotherapy, Neuro Linguistic Programming, Voice Dialogue, Quantum Physics and Metaphysics. He has learned a great deal from all of these techniques, yet, being a visionary and a pioneer, he has gone beyond what was known before and he has reached into the future of what can be, to create a body of work that is truly new. His FutureVisioning process is a revolutionary new way of growing, healing and creating success, and it has never been available before! He has always been an adventurer, and in addition to all the business and healing processes he has studied, he has also developed his understanding of life and people through a wide variety of real life experiences all over the world. These include living in a log cabin on a lake in the forests of Montana every summer for his first 25 years, traveling around the world several times seeking philosophical, psychological, spiritual and practical wisdom, living for 4 months in India and Nepal, traveling throughout Europe and the Mediterranean, visiting gurus in India, working as a charter sailboat skipper in the Greek Islands, journeying with other metaphysical explorers through Central and South America, living aboard a 50 foot sailboat in Tahiti for 4 months, and perhaps the most wonderful and enlightening journey of all, being a father and friend to his wonderful 28 year old daughter. His unique, gentle, yet incredibly powerful process helps people tap their own unlimited power to gracefully and quickly heal their past, so they can joyfully become the Creators of Their Future! With these tools he has created many extraordinary experiences in his own life and in his clients lives. 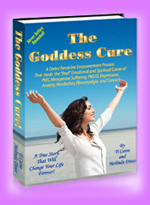 He consciously created an instant healing of a life threatening illness in his own body! He also consciously created an instant healing of a suicidal depression and he has designed and created his own ideal career. He lives his own techniques, and through his own experiences, and through helping thousands of others, he knows the unlimited power we all have within us. He has presented his work several times at the International Convention of the American Council of Hypnotist Examiners, with over 500 of his peers, professional hypnotherapists from all over the world in attendance. His work is always recognized as being unique and revolutionary, and his presentations are always best-sellers. He has also been written about in the internationally best selling book "Womens Bodies, Womens Wisdom," by Dr. Cristiane Northrup, M.D., which has sold over 1 million copies. 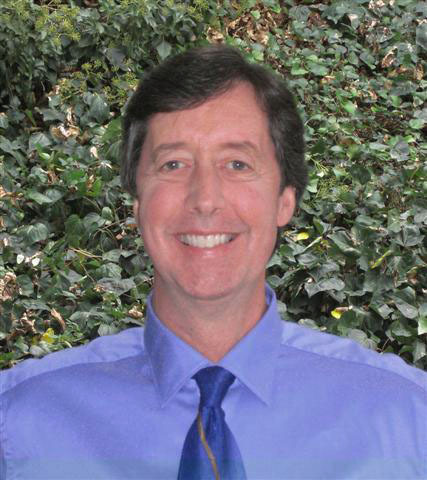 His work has been featured in the on-line newsletter,"Psyched For Success," which is a joint venture between "Psychology Today" magazine, and one of the worlds largest websites, ediets.com. This newsletter was distributed to over ten million people. He consults in person and over the phone with individuals, couples and organizations in the U.S. and internationally, and he would love to help you or your organization create a most magnificent future.